What makes perfect fastpitch softball bat? When you stand on the batter’s spot, and the game is on the line, there’s only one thing standing between you and that fastpitch shot; your trustworthy, personally picked, best fastpitch softball bat. Without it, you’re swinging at failure’s way and would require the tremendous amount of skill and luck to hit that home run. Today we guide you on how to pick the softball bat of your dreams. What makes the best fastpitch softball bat? We’ve selected the specific dimension and drop for every model we picked. The differences in model size and weight apply to the performance and features of the particular model and apply on the overall impression, which means that all the models have several options for choosing. A particular model will score badly on this review, but it might be right for you. Consult the buying guide before deciding on purchasing. We also release our latest reviews of the best softball bats for 2018 and the best slowpitch softball bats for 2018 season. We’ll be happy if you give us your thought about it. Here we’ll share the reviews of the nine bats that are in the top of the offer for the 2018 season. Scroll to see how they compare below or if you want to choose among the best options right now, you can check from the listed options here. The newest model from Louisville Slugger is, shortly said, a premium, elite bat aimed at breaking records and winning championships. The 2018 PXT is light, big, multiply enhanced, and manufactured for the best of the best. First of all, there is the new multi-layered construction of the barrel, with the power stack technology aimed to provide the premium pop. There are no rings in the barrel of 2018 PXT, and the X-Cap top will contribute to the increased sweet spot, lower MOI, and superb flexibility and trampoline effect. It really feels amazing on the impact, and the balls are launched vigorously. On the first glance, the bat would seem as an end-loaded model, but that is far from the truth; the 2018 PXT comes as a balanced, three-part designed unit. Three-part comes from the TRU 3 section that connects the handle and the barrel, implementing the new technology that removes the vibration from the handle entirely, while bringing more power to the barrel. The bat is amazing for heavy hitters. The fully composite design brings light weight and 2 1/4″ diameter with three possible size/weight variations. Another fantastic feature is the diskless design which enables significantly better sound compared to the LXT or XENO model. This bat is the most expensive one on the market right now, but for a reason. If you’re looking for a bat to win more championships, this is the one. The new model of CFX (we picked the -10 model) is, in one word, fantastic. DeMarini engineers designed this new edition with the experienced players in mind. So, if you’re of to set records and win leagues, this one will be at least a consideration. The two-piece design incorporates some of the newest mechanisms that increase the sweet spot responsiveness and provides you minimum feedback from the impact. Besides fancy design and high-tech elements, 2018 CFX brings a paraflex composite barrel with great flex and increased toughness. The manufacturer advertises this bat as 22% stronger than the previous model. At 18 ounces, the bat is among the lightest on the market, while retaining the toughness and performance of the previous model. Even though it is end-loaded, the 2018 CFX’s weight distribution on this new two-piece design bat is one of the best features it offers, and one of the biggest selling points. That provides double value, to both highly-experienced batters to beginners who are about to set foot in the diamond. The 3-fusion handle adds to this balance with tight, comfortable, and shock-absorbing grip. 2 1/4″ diameter, six different size & weight variations, and a no-hassle return policy make this product a very tempting option for people who want to dominate the 2018 season. The high price might be the drawback, but what could you expect from the newest CFX? The new technology from Easton of two-layer barrels was introduced in the last several years, and the Ghost models promoted it the right way. The 2018 Ghost Woman model offers the latest installment of this feature, adding significant flex and excellent trampoline effect. On top of that, the two-piece design and end-loaded construction enable the major power and will launch the ball to a home run easily. We picked the -10 drop model which is not a good variation for beginners, but anyone experienced enough will have amazing time with this bat. The two-piece design adds to the weight, but balances it while adding firmness and durability to the construction. On the other hand, you’ll feel less vibration on impact, and have a very comfortable grip because of the HYPERSKIN technology used in wrapping the slim handle. 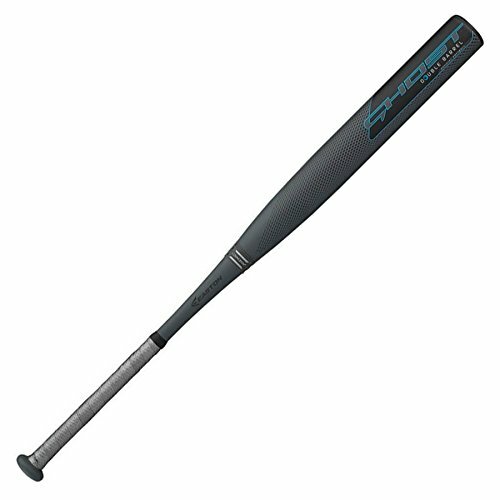 This model is all-composite, 29/32-inch sized, and Easton promotes the materials as “Xtra Tough Resin Matrix (XTX) Composite” for improved durability. The price tag is a bit higher but doesn’t come as a surprise considering the design and materials used. The overall feel of the bat is fantastic, and it offers a great pop after the break in period. Speaking of league approval, Ghost 2018 is approved in ASA and ISF (NCAA approval pending) at the moment. The 2018 CFX Slapper (-10) Fastpitch is bat designed for left-handed hitters. It has a long, 14″ barrel which can seriously improve one’s plate coverage and make the hit successful even when the ball is out of your sweet spot. When it comes to weight distribution, this bat is weighted more towards the hands, and this ultimately enables better barrel control. In our recent review, DeMarini has developed their 3-Fusion System which optimizes the weight control, and also, to distribute the weight more evenly, there is the Paraflex Composite barrel design. The bat is available in several sizes, from 31” to 34”, to be more precise. When it comes to the drop, the CFX Slapper is -10oz, and this allows for a pretty light swing while still packing enough power for a good, strong hit. The material of this model’s barrel is composite, and with the barrel diameter being 2 ¼”, it is intended for kids aged 13 or older. This product comes at a higher price range of fastpitch bats. The DeMarini company offers a one-year warranty only if the bat has been severely dented, cracked or if the end plug/knob turn out defected. The Louisville Slugger LXT Hyper is a fastpitch softball bat designed for young and developing baseball players. It is a 3-piece bat constructed of 100% composite material. 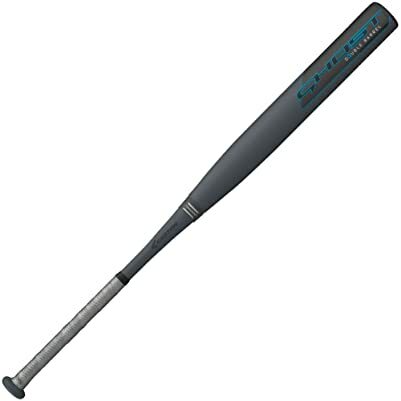 What is unique about this model is the company’s TRU3 technology whose purpose is to minimize vibrations while optimizing the necessary movements between the three pieces that the bat consists of. This also ensures a trampoline effect, meaning that the ball will have good speed and drive when it gets hit. The LXT Hyper has a balanced weight distribution and enables good barrel control. The barrel has a diameter of 2 ¼ “, and is made with patented PBF Barrel technology which is meant to increase the size of the sweet spot, making it a good option for beginners. Another useful feature of this model is the faded grip which is supposed to increase the comfort of handling the bat, and this might be very helpful when facing long hours of practice. When it comes to the bat size, this one is available from 30” to 34”, and we should point out that drop weight is -10oz. The price falls among the more expensive products of its kind, and the manufacturer includes a one-year warranty when purchasing this bat. Anderson Rocketech 2.0 is a highly durable, fastpitch, single piece bat made entirely of aluminum. Besides the material it’s made of, it owes its durability to the multi-wall design, and the manufacturer promotes this model as a great bat for cold weather. Unlike composite bats which tend to crack in the cold, aluminum ones do not have this problem. The Rocketech 2.0 is end loaded which means more power than balanced models, but because of that, it might be a bit heavier to maneuver. Generally, single piece bats are more suitable for players with a strong swing and who don’t mind the hand sting when they miss a hit. This bat comes in sizes from 31” to 34”, and it has a drop weight of -9oz. The barrel diameter is 2 ¼”, and it slims down to a relatively thin handle. This product of Anderson comes in the middle-price range when it comes to softball bats. It might be good to mention that this model was approved by all major softball associations such as ASA, NCAA, NSA, ISA, and USSSA. When it comes to manufacturing defects or if the bat doesn’t live up to its promises, the manufacturer guarantees a one-year warranty. For the new women model, Easton has created a double-barrel fastpitch bat that is made from composite material. The double-walled construction is meant to provide more flex thus creating a trampoline effect which gives more power to the hits. This feature could be useful for beginners and developing players. The bat is end loaded with a drop weight of -9oz, which means that it might require a little bit more strength to swing, so this model might not be optimal for those under the age of 13. The handle of this product is 29/32″, and its thin dimensions enable a good grip. If you’ve been wondering about the price, this product is among the more expensive items in this market. Another thing worth mentioning is that the Ghost is approved only in ASA and ISF due to its unorthodox construction. Bustos is number 8 on the best fastpitch softball bat list and it comes to us from the famed DeMarini company. It has an interesting two-piece construction meaning that the handle is composite while the barrel is made of aluminum alloy. The purpose of this is to minimize the hand sting in missed shots. The grip is composed of a 2-piece hybrid (carbon polymer and aluminum), and it is meant to make it easy on the hands for long training sessions or matches. This model comes in sizes from 29″ to 32″ inches, and its drop weight is -13oz, which means that Bustos could be a good choice for younger hitters (ages 10-13), who don’t possess a lot of swing strength. The swing weight is balanced which sacrifices a bit of hit power, but a large sweet spot that the long barrel provides is a good compensation, especially for learners and younger players. The price places the Bustos in the mid-price range in the softball bats category. Also, this model has been certified by ASA, ISA, ISF, NSA, and USSSA, so players of any major association don’t have to worry when acquiring this bat. A one-year warranty is provided by the manufacturer in case of defects or premature damaging during proper use. Easton’s FS400 is a one-piece bat made of 100% aircraft alloy, but despite its construction, it maintains a lightweight performance and feel. Even though this is a one-piece model, it has a pretty good pop compared to some other bats. Aircraft alloy is a strong material which can provide good durability and lifespan to a bat that takes constant hits. The handle has a standard size of 29/32” which makes it suitable for the use of different aged players. The barrel diameter is two ¼”, and the drop weight is -12oz so this model could be optimal for younger players or those looking for a lightweight, fast swing bat. The FS400 comes in sizes from 29” to 32”, so choosing the appropriate one for you shouldn’t be a problem. When it comes to the price, the FS 400 is pretty cheap compared to other bats on the market today, making it a very good choice for a first-ever bat. If the child plays in one of the major associations, such as ISA, ISF, ASA, SSUSA, USSSA or NSA, then it is good to know that this model is certified in all the before-mentioned. As far as the quality guarantee is concerned, this model has a standard one-year warranty. In the simple phrase, the one that suit you best. The market is huge, and there is a product for everyone, and this guide can be your helpful resource in the buying decision. You should pick a bat depending on your preferences, playing style, experience, and the depth of your pocket. If you’re after the best of the best, Louisville Slugger 2018 PXT -10 or DeMarini 2018 CFX -10 are the right bats for you. If you’re on a budget, Easton FS400 is the right choice. Looking further and categorizing between these two ends of a batter’s spectrum, there’s a good product for everyone. It’s all up to you to decide. Still confused? Here is our buying guide. Hope it may help! This question has a simple answer, but a complicated explanation; it’s all based on the player’s preferences and experience, play style, and physical capabilities. Many factors determine the determining properties of the bat, and the most valuable advice you can get about this matter is: choose the bat according to yourself, not to its properties. 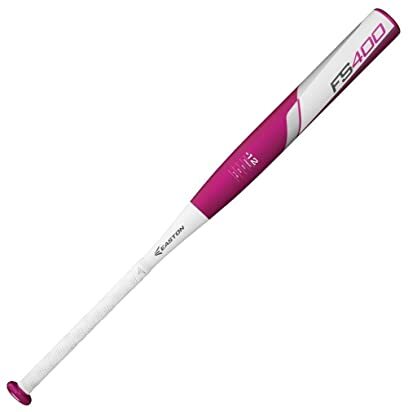 First and foremost, Some of the best fastpitch softball bats are made from either aluminum alloy or composite materials. There are bats made from the combination of these materials; these can come designed as two-part bats, for better maneuverability and portability, alongside the trampoline effect. The two-part bat usually features a composite handle and an aluminum barrel for the best of both worlds – impact absorption on the handle with the best possible power on the barrel. With a single-piece bat, you’ll usually have all-composite or all-aluminum build, and have different performance. Composite bats are more commonly used because of their durability and quality but are prohibited in some leagues. These are usually more expensive, have the largest sweet spot, but can be more sensitive to weather conditions. Aluminum bats are very popular because they are lighter, deliver more power, and look more attractive. The price tag and weight is determined depending on the percentage of pure aluminum in the bat (they usually come with more different materials in the build). They are usually on the cheaper side and have a smaller sweet spot. Based on this info, you should aim for the bat that suits your playstyle, arm strength, and experience. Beginners would benefit the most from lighter bats, and the more experience you get, the more you’ll understand the type of the bat that suits you the most. There are two tests that you can perform to determine if the bat’s size is suitable for you. First, you should take the bat to your dominant hand, and lower it to the ground while standing straight. If your hand touches the bat handle while the tip is touching the ground, the bat fits you. Next, you can put the bat handle in the middle of your chest and point your bat outward. If you can reach the barrel section of the bat with your dominant hand, the size is right. There’s the term related to the fastpitch softball bat characteristics called the drop. This is the value calculated from the length and weight of the bat; the difference between the two is the drop. 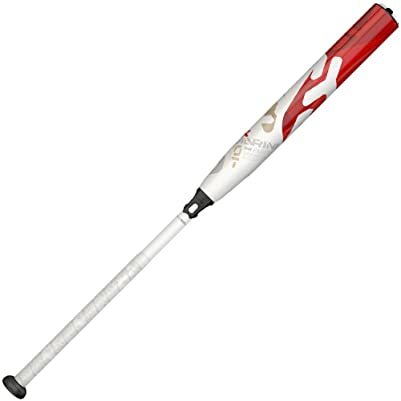 For example, the 29” long bat with the weight of 27 ounces will have a -2 drop. This characteristic is important for league participation since many leagues have different participation rules. There are also two types of bats based on weight distribution: end-loaded and balanced. As their names imply, the end-loaded bat will have more weight in the barrel section, and a balanced is self-explanatory. The first type is more suitable for power hitters, because of the more power focused on the barrel and more pop, while the second will be excellent for impact hitters and beginners. The price of the bat is an important factor to consider while purchasing. All depends on your current involvement in the sport, your condition and determination, alongside your physical state, and future. Investing in an expensive bat which can break if you aren’t quite skilled in using it is a bad decision, especially if you aren’t going serious. Always assess all aspects before making a decision. Don’t forget to check out the best softball bats for 2018 and the best slowpitch softball bats for 2018 season. We are so happy to have you here.